The Occupational Health at the Human-Animal Interface (OHHAI) training program is based at the UW Center for One Health Research (COHR). NIOSH funding for a limited number of OHHAI scholars is available for tuition and stipend through the Northwest Center for Occupational Safety and Health. 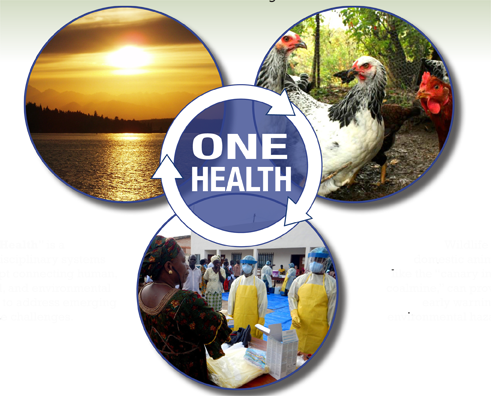 The two year OHHAI training program promotes a "One Health" approach to the current lack of adequate research and best practices regarding the occupational health of animal workers. Animal workers interact with animals in a wide range of settings ranging from veterinary clinics to research laboratories, farms, markets, zoos, aquariums, and wildlife environments. They face unique and important health issues including exposure to zoonotic infectious diseases, allergens, and injury risks. Students in the OHHAI training program will satisfy the requirements for an MPH in Environmental and Occupational Health Sciences. The curriculum also includes a seminar in the occupational health of animal workers, a One Health survey course, an original research thesis and a practicum experience. Potential practicum sites include zoos, farms, veterinary hospitals, animal research laboratories, department of agriculture, farmworker clinics, and wildlife health organizations, both in the US and internationally. A limited number of scholarships including tuition support and stipend are available on a merit basis. The OHHAI training program is funded by the National Institute for Occupational Safety and Health (NIOSH) through the UW Northwest Center for Occupational Health and Safety (NWCOHS). For more information about the Training Program contact Vickie Ramirez at ramirezv@uw.edu. For more information about the Department of Environmental and Occupational Health Sciences visit the DEOHS Home page. Applications are due on December 1st for admission the following year. Visit the Application Instructions page for more information. Please download the required OHHAI Supplemental Application form.